Following on from the set reports released at the end of last, Den of Geek have just released their own article detailing their visit to the Vancouver based Mammoth Studios for their set visit. It covers some of the same details we’ve already ready about from JoBlo, Bloody Disgusting and Collider but Den of Geek’s article has a really cool chat with Brian A. Prince, one of the men responsible for bringing the Predators to life in Shane Black’s The Predator. “All that change, Prince explains, when he got a call from The Predator’s stunt coordinator; Prince made a video demonstrating his parkour skills, sent it off, and within a few weeks, he was on a plane bound for Los Angeles. Given Prince’s parkour background, it’d be reasonable to expect much more agile Predator’s than we’ve seen in the past. 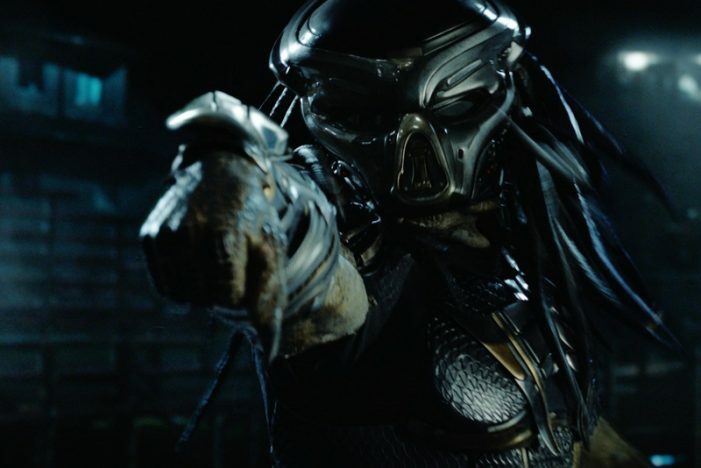 Prince talks a little about how we can expect the Predator’s to be physically portrayed in the new movie, stating that they’ll be much more mobile than the Predator’s have been portrayed as in the past. During the interview Prince also discusses how he gets into the mindset to play Predator; Music. He also specifically calls out God of War’s Kratos as an inspiration for his on the Predator. Kyle Strauts & Brian A. Prince to Perform Inside the Predator Suits? Brian B. Prince Passed Out On Set of The Predator!